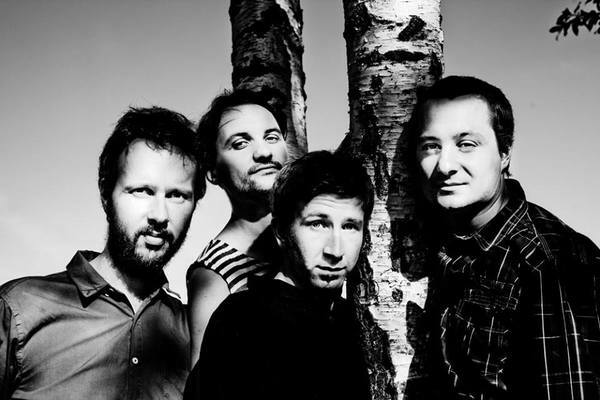 With many critically acclaimed albums under their belt Květy has become an important part of the Czech indie rock scene of the new millennium. With the unmissable presence of singer-songwriter Martin Evžen Kyšperský as their frontman, the quartet from the city of Brno plays innovative alternative rock with heavy use of violin connecting them to Moravian folklore roots. Born out of a fun secondary school activity in the mid 90s, they smoothly bridge the old and new alternative music scenes in the Czech Republic. Their recordings Kocourek a horečka (2006) and Myjau (2010) both won Anděl Awards (Best Alternative Album). Bílé včely (2012), their chronicle of the alienation and angst of the 2000s generation, scooped up the Vinyla Award as the Best Album of the Year and was followed by 2015’s Miláček slunce with songs centered around the topics of adulthood and mid-life crisis.